• Prepare annual operational plan and budget in collaboration with the project team. • In “partnership” with implementing “partner” organizations, design a monitoring and evaluation framework and ensure that key indicators are monitored. • Organize country stakeholder workshops and conferences to share experiences and lessons learned. • Coordinate and support the implementation of youth-focused training programs aimed at improving social, life and vocational skills in the identified value chains. • Implement an exit strategy that will provide sustainability of the impact created through EAYIP. • Oversee the progress of all project objectives within the country and provide direction and guidance to ensure that planned targets are achieved. • Ensure that social capital and values-based holistic community development (VBHCD) are mainstreamed in the project at all levels. 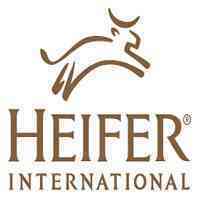 • Ensure that project staff work closely with the Heifer Tanzania country program and EAYIP regional office teams to ensure that contracts, other legal documents and financial statements are processed appropriately. • Submit timely reports to country program and EAYIP regional offices as required. • Carry out annual staff appraisals for staff under his/her supervision. • Ensure that periodic project reviews are conducted, with learnings documented and shared. • Supervise expenditure control within the budgets. • Ensure compliance with contractual obligations and procedures of donors. • Ensure proper maintenance and use of assets. • Inspire, mentor and manage staff to achieve project goals. • Develop and implement plans for multi-stakeholders’ engagement and learning. • Monitor the work of HPI’s local “partners” and ensure that they are compliant with the activities agreed upon in the teaming agreements. • Work with local governments to identify and address social and economic barriers to increasing youth participation, especially young women, in the agricultural sector. • Develop relationships with financial institutions and the private sector to facilitate access to finance and market linkages. • Produce various technical reports in collaboration with implementing “partners” for sharing with stakeholders in the country. • Represent EAYIP in various stakeholder meetings, workshops, conferences and shared learning events. • Bachelor’s Degree plus seven (7) years of relevant experience in development work in Tanzania. • Knowledge of income and expense budget preparation and monitoring. • Knowledge of youth workforce development issues especially in rural communities of the East Africa region. • Good understanding of gender dynamics in development, particularly among young people. • Good understanding of the different value chains within the agricultural sector. • Strong leadership, teamwork, mentoring and coaching skills. • Ability to communicate effectively with HPI’s headquarters (HQ), donors, “partners” and local governments. • Willingness and ability to travel extensively throughout Tanzania and other EAYIP project sites. • Ability to prepare and present documents in a well-designed and attractive format with superior attention to detail. • Excellent interpersonal and communication skills with the ability to work cooperatively, tactfully and diplomatically with culturally diverse groups of people. • Willingness and ability to assign and review the work of direct reports and to use participatory management skills with junior and senior staff. • Proven team leadership and supervisory skills with the ability to train and work cooperatively with a diverse staff. • Constant face-to-face, telephone and electronic communication with colleagues and the general public.